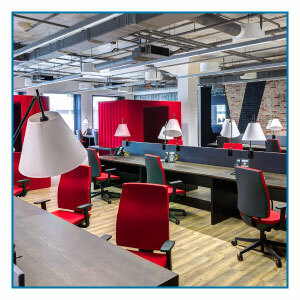 Research has shown that a clean, tidy and well-organised workspace and office is conducive to higher levels of employee engagement and staff productivity. As an employer, it’s perfectly reasonable to expect staff to be personally responsible for their own area, and even to have some ground rules, or a policy, on what is expected of individuals in terms of their specific workspace. However, what about shared spaces such as receptions areas and client meeting rooms, communal kitchens and washrooms? Not only do staff work in a space that is more than simply where they sit, if you have clients and visitors to your office, they too will form an impression of your outfit based on what they see. So, here are a few pointers to keep things running smoothly and make your office a pleasant and effective place to work. Paperwork: do you really need it, or do you think that unnecessary, out of date paperwork is clogging up space? (It’s probably stored electronically anyway.) Yes, you may need some hard copies – so keep what you need, put it into a filing system that you understand and will continue to use, then recycle the rest. Minimise Distractions: so, surround yourself with work related items. Be honest – how much time do you waste messaging or looking at personal email and social media? If it wasn’t there, you wouldn’t do it. Remember that ‘out of sight is out of mind’ so keep private and work things separate. Use storage space to store things: it sounds so obvious to keep everything organised and easy to find, but often we don’t bother. So, if you have allocated storage space (desk, shelf etc. ), use it for the things you don’t need every day. Organise your computer: your desktop can be just as untidy and distracting as your physical desk, so in the spirit of the new, organised you, tidy it up as well. Get rid of unnecessary icons, old files etc. and ruthlessly organise your files and folders. Create a system that’s clear, logical and useable and you will reap the benefit in both time and satisfaction. Get professional cleaners: neither you nor your staff are there to spend vast amounts of time cleaning. It’s a poor use of time during work hours. But, regular cleaning of your office space is necessary to keep it presentable. If you use a reliable office cleaning company that does the job regularly – on a daily or weekly basis, including periodic deep cleans, it could be a great investment. ServiceMaster Clean provides exceptional commercial office cleaning in the North West. To discuss your cleaning requirements with our experts, please get in touch.